St. Jacobs, ON, February 26, 2013 - Home Hardware Stores Limited is proud to be recognized as one of Canada's Best Managed Companies. Established in 1993 by Deloitte, CIBC, National Post and Queen's School of Business, Canada's Best Managed Companies is the country's leading business awards program recognizing excellence in Canadian-owned and managed companies. "We are so proud to be named one of the Canada's Best Managed Companies," said Paul Straus, President and CEO of Home Hardware Stores Limited. "We share the honour of receiving this award with our Dealer-Owners and our Staff, who continue to show an extraordinary level of loyalty and dedication to their work and their customers. This commitment allows Home to remain focused on our goal of helping homeowners by providing expert advice and superior customer service." The Canada's Best Managed Companies designation recognizes Canadian companies that have implemented world-class business practices and created value in innovative ways. Applications are reviewed by an independent judging panel that evaluates how companies address various business challenges, including new technologies, globalization, brand management, leadership, leveraging and developing core competencies, designing information systems, and hiring the right talent to facilitate growth. "As we celebrate our 20th anniversary, we believe that there are three vital building blocks to sustainable growth: strategy, capability, and commitment; Home Hardware Stores Limited has demonstrated it is a model of success in all three areas and is duly recognized as one of Canada's Best Managed" explained John Hughes, National leader for Canada's Best Managed Companies program and leader of the Greater Toronto Growth Enterprise practice for Deloitte. 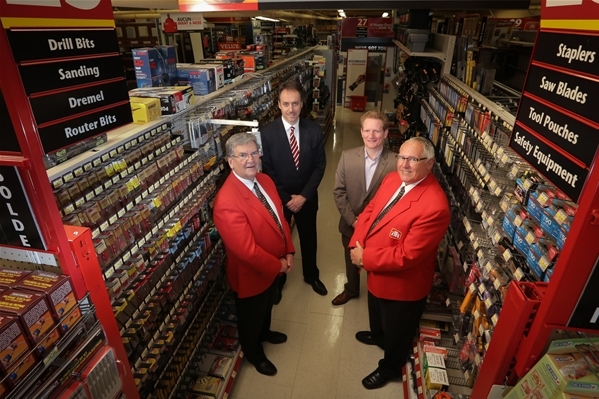 Celebrating its 50 year anniversary in 2014, Home Hardware Stores Limited continues to prove that independent ownership in the home improvement retailing industry is not only viable but highly successful. By the end of 2013, its network of independent Dealers will have achieved over $5.25 billion in retail sales. Winners will be awarded with the distinction of Canada's Best Managed Companies at the annual gala and symposium on April 16th.